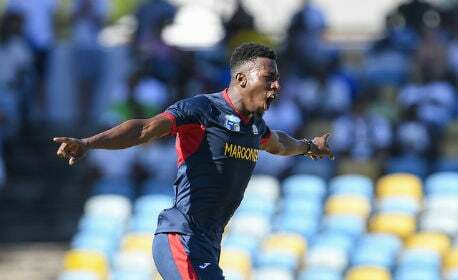 BRIDGETOWN, Barbados, CMC – Combined Campuses and Colleges Marooners etched their names in Caribbean cricket history when they brushed aside multiple-time champions Guyana Jaguars by six wickets here yesterday, to capture their first-ever Regional Super50 title. Playing in the final at the storied Kensington Oval, Marooners chased down a modest target of 204, to get home in the 38th over and crown an outstanding campaign which had seen them top Group B of the preliminary round. Opener Kyle Corbin, averaging a paltry 19 in the tournament, put aside his wretched form to top score with an aggressive 72 off 53 deliveries while Kjorn Ottley chipped in with 45. 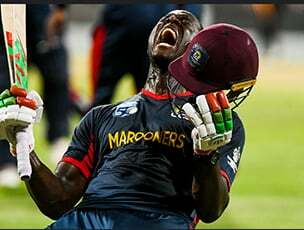 However, it was captain Carlos Brathwaite, who leaves for West Indies duty in India today, who appropriately put the finishing touches on the victory with a typically bold unbeaten 30 off 25 balls. The victory also made amends for Marooners’ disappointment in their only previous 50-overs final to date, when they lost to Windward Islands at the same venue five years ago. Jaguars had earlier put themselves under pressure with an underwhelming batting performance, after they were sent in on a grassy strip. Left-hander Tagenarine Chanderpaul, the son of Test legend Shiv Chanderpaul, top-scored with 56 from 95 balls but apart from West Indies all-rounder Raymon Reifer who scored 38, no other batsman put their hand up. Not for the first time, Marooners seamers did the damage, with Jermaine Levy picking up four for 43, Brathwaite snaring three for 42 and new-ball bowler Akeem Jordan ending with two for 30. 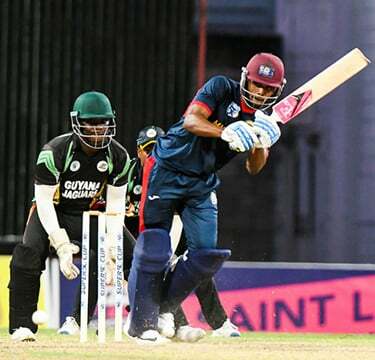 Chasing their first title in 13 years, Jaguars lost Trevon Griffith after the left-hander struck 20 off 22 balls, caught on the ropes at mid-wicket off Jordan in the seventh over, attempting his second six after he had put on 27 with Chanderpaul. 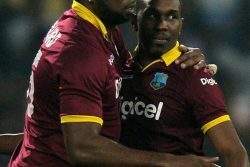 Dropped on seven by Corbin at slip off Jordan in the 11th over, Chanderpaul anchored a series of small partnerships, adding 24 for the second wicket with captain Leon Johnson (14), 37 for the third wicket with Chris Barnwell (15) and 31 for the fourth wicket with Reifer. But with partnerships building on each occasion, wickets fell at critical moments. 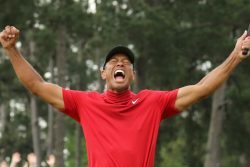 Johnson slapped an innocuous delivery from Brathwaite to a diving Keron Cottoy at point in the 13th over and Chris Barnwell holed to long on off leg-spinner Cottoy in the 23rd over. Left-hander Chanderpaul eventually perished in the 32nd over after striking four fours, before falling to a catch at mid-wicket off Brathwaite. Reifer, another left-hander, attempted a repair job in a 30-run, fifth wicket stand with Sherfane Rutherford (14), hitting one six in a 59-ball knock. 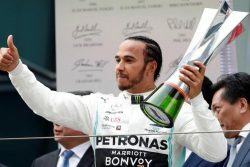 But once Rutherford fell in the 40th over, Jaguars lost their last six wickets for 55 runs, as Levy ripped apart the lower order. 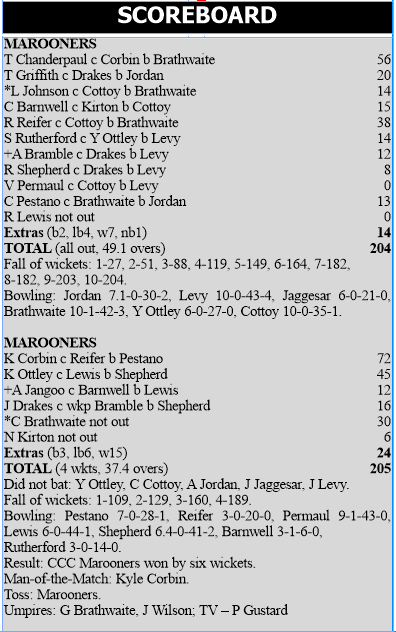 In reply, Marooners took charge from early, thanks to the right-handed Corbin who smashed a dozen fours and a brace of sixes, as he posted 109 for the first wicket with Kjorn Ottley. Corbin raced to his half-century off just 35 balls and looked to be speeding towards triple figures when he drove fast bowler Clinton Pestano to Reifer at mid-off in the 17th over. Left-hander Amir Jangoo stayed around 23 balls for his 12 before impatiently chipping leg-spinner Ramaal Lewis to cover in the 23rd over, and Kjorn Ottley put on a further 31 for the third wicket with Jonathan Drakes (16) before pulling fast bowler Romario Shepherd (2-41) to mid-on in the 30th over. Ottley faced 84 balls and struck four boundaries. With his side on 160 for three then, Brathwaite took the responsibility for seeing his side home, lashing four fours and a six. 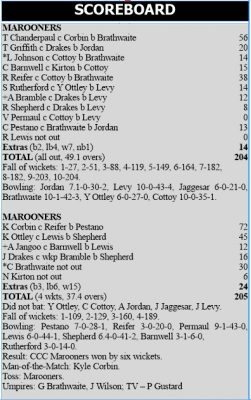 He lost Drakes after the pair had put on 29 for the fourth wicket, the right-hander gloving a pull at Shepherd behind, but by then the result was a mere formality.